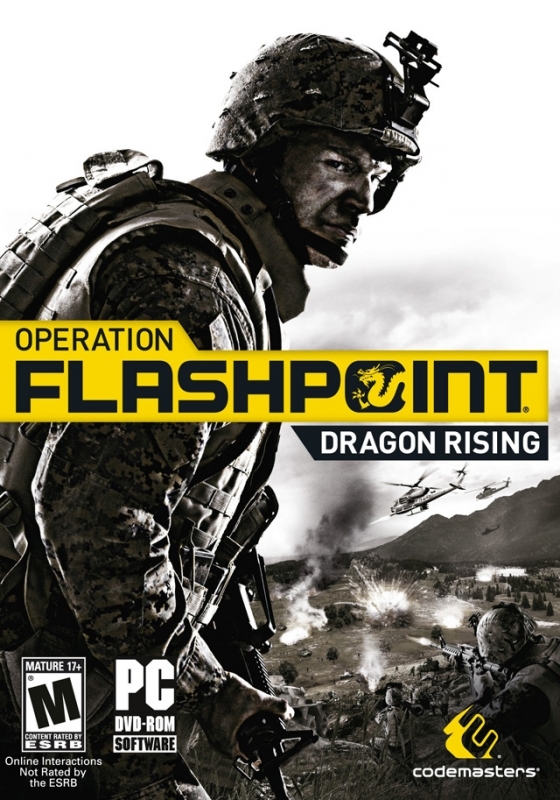 As the much anticipated return of the genre-defining military conflict title, Operation Flashpoint: Dragon Rising is set to take gamers as close to war as they'll ever want to get. 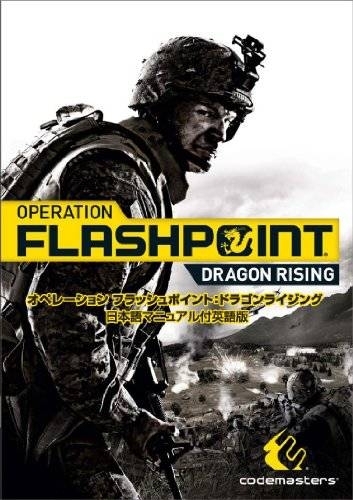 In a shooter that recreates the brutal reality of the modern combat experience in stunning detail, Operation Flashpoint: Dragon Rising will challenge players to survive the chaos and rapidly evolving situations of modern warfare in a new contemporary theatre. 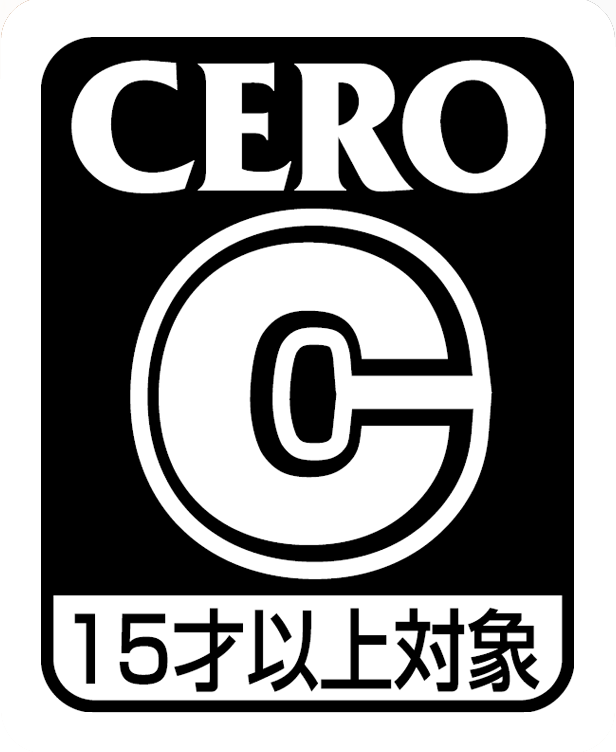 Players will experience the intensity, diversity and claustrophobia of a present day conflict from the unique perspectives of an infantry marine and a Special Forces officer, each engaged against the full force of the Chinese PLA on the huge open-world island of Skira. 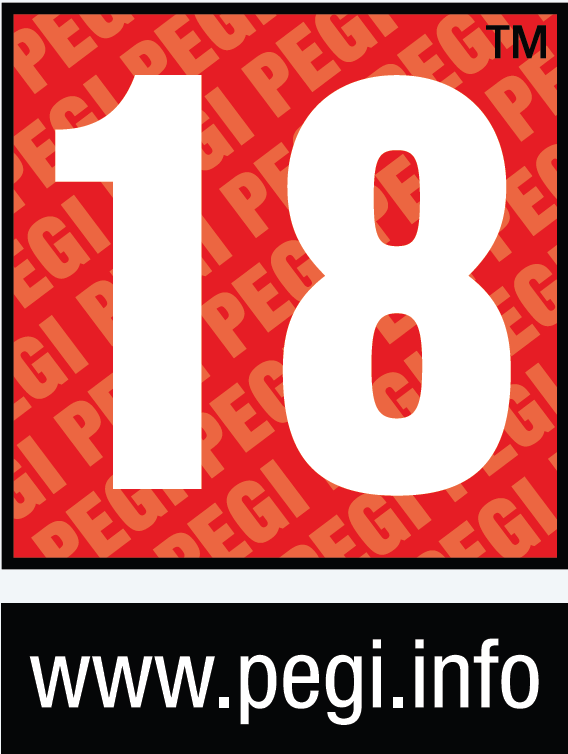 Gameplay simulates an immense conflict between advanced forces and provides unparalleled scope with different military disciplines, vehicles and equipment for players to utilise. 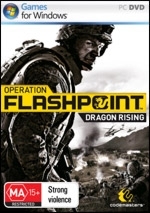 Operation Flashpoint: Dragon Rising will deliver the most accessible, engaging and visceral sandbox shooter of the year, with a huge variety of equipment, weapons and tactics available. Authentic cutting-edge weaponry is simulated with detailed ballistic physics and players will command and control a wide variety of multi-component, multi-weapon vehicles, including tanks, infantry fighting vehicles, APCs, attack and utility helicopters. The character damage system authentically depicts the terrible wounds and injury from modern weapons to communicate the lethality of combat. Operation Flashpoint: Dragon Rising will give players the freedom to handle military crisis situations on their initiative. Unscripted missions will task players with real objectives, such as laying down covering fire, covering a friendly unit's retreat or conducting short-range recon patrol. Armed with cutting edge military hardware, players will need to balance brute force with intelligent use of tactics. 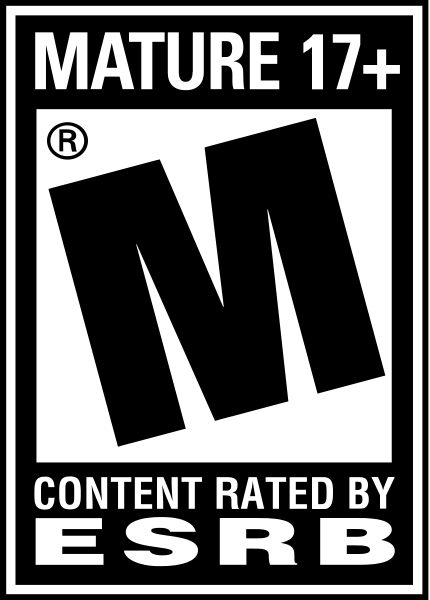 As an epic single and multi-player campaign weaves the narrative, players will fight as infantry soldiers in battle, drive tanks in armoured assaults, and infiltrate the enemy in covert special operations utilizing a wide variety of realistic military weapons from knives and rifles to machine guns and grenade launchers. Located off the eastern coast of Russia, north of Japan. This oil-rich Russian-controlled island stands on the brink of war. An airborne division of the People's Liberation Army of China (PLA) lands to claim the island as the sovereign possession of the People's Republic. Russia turns to the US for support aid and they're quick to respond. Sending in the USS Iwo Jima, a battalion of US Marines launch an assault on the strung out but dug-in Chinese force. Can the situation be defused before this flashpoint turns white hot and an all-out global war between the superpowers erupts? 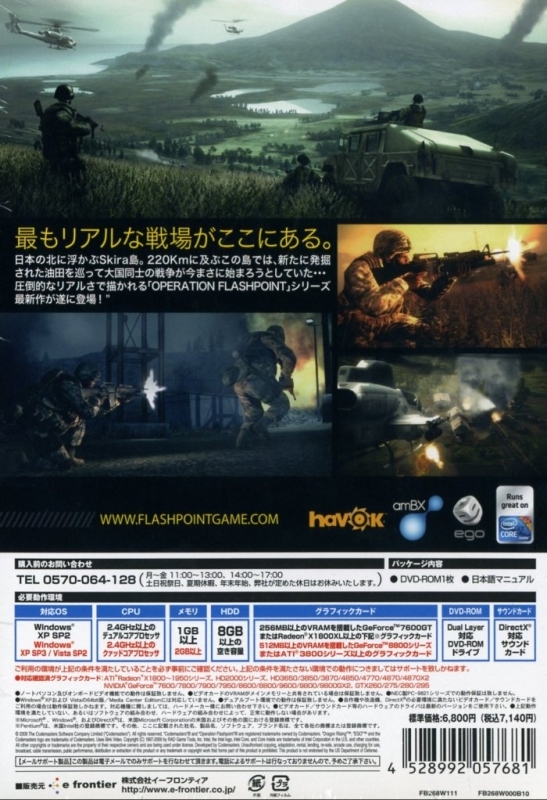 The 220km2 battlefield gives players a multitude of tactical decisions on how to best accomplish missions. Densely packed with environment detail and objects, valleys, mountains, coastlines, towns, villages and industrial complexes all combine to deliver a rich and challenging tactical environment. I've played this and it seems pretty enjoyable so far.